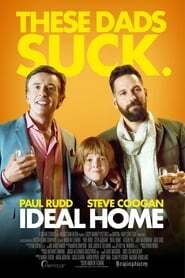 Paul Rudd (Ant-Man) and Steve Coogan (Philomena) are the couple protagonist of this comedy about a homoparental family, written and directed by Andrew Fleming.Erasmus and Paul (Steve Coogan and Paul Rudd) are a gay couple whose life changes completely when a 10-year-old boy shows up at his door assuring him that he is the grandson of Erasmus. Neither Paul nor Erasmus are prepared to put aside their extravagant lifestyle and be parents, but perhaps this little one has a couple of things to teach them about the value of the family. The film will premiere on US charts in September, shortly after the premiere of Ant-Man and The Wasp, the superhero movie starring Paul Rudd.In the cast of Ideal Home also appear Alison Pill, Kate Walsh, Jake McDorman, among others and has been produced by Remstar Studios and National Bank of Canada.